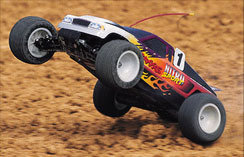 View cart “Traxxas Nitro Sport’s EZ Start” has been added to your cart. 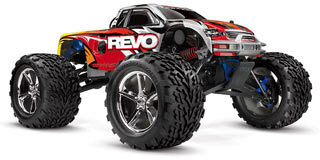 The all-new Traxxas Revo is an engineering marvel that blends innovative thinking, sophisticated technology and high-tech materials to create the world’s most advanced monster truck. Backed by over 2-years of research and development, Revo is packed with revolutionary new design concepts and benchmark driving performance. Never before has so much forward-thinking technology converged on an R/C model. Revo is for the driver/enthusiast who is ready to make the break from the status quo, and experience the precision-engineered total performance that only Revo can deliver. There’s nothing else like it. Revo is Ready-To-Race® right out of the box. Traxxas’ professional factory assembly puts you on the road to fun, fast! Everything on Revo including the engine and electronics is engineered and manufactured by Traxxas, so you know it all works together and is backed by legendary Traxxas customer support.